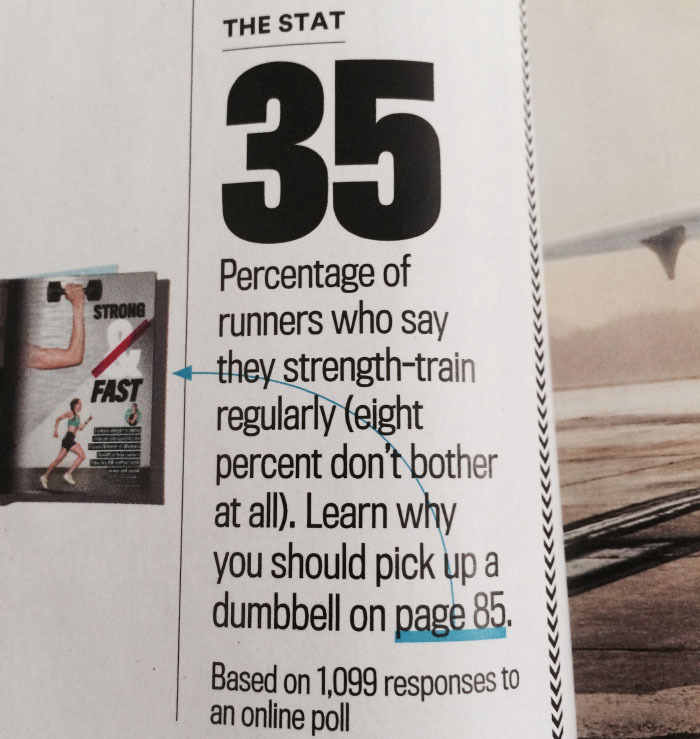 This interesting statistic stood out on the pages of the most recent issue of Runner’s World: only 35% of runners strength train regularly. Many runners worry that strength training will make them bulky and therefore slower. However, quite the opposite is true! Still, there are plenty of practical reasons why runners, especially those training for longer races, avoid lifting weights. Marathon training is time-consuming and it can prove challenging to find enough time to strength train in addition to family, work, and running. Marathon training is also tiring, and there simply can lack motivation to add in extra workouts when you’re fatigued from running. However, the benefits of strength training during marathon training are numerous and make even 2-3 sessions of 20-30 minutes of strength training well worth the time and effort. 1. Smooth out muscular imbalances. This particularly applies to female runners, who can suffer from more muscular imbalances in the lower body due to our wider hips or how childbirth affects the body. Regardless of gender, many people have muscular imbalances, especially when we now spend several hours a day hunched over a desk. Muscular imbalances occur when one muscle is weaker than another, whether it’s a two groups of muscles (say, weaker glutes than quads) or two of the same muscle (if one leg has weaker quads and hamstrings than the other). When you run, it’s easy to let the stronger muscles do all the work and the weaker muscles just tag along for the ride, but this can all too easily lead to poor running form, inefficient running, and overuse injury. Strength training helps you strengthen the major muscle groups, such as your glutes, so that they can activate properly doing running and do their share of the work. Strength training can also help smooth out muscular imbalances such as one leg stronger than the other, especially if you work your legs separately. Strength training also improves your stability and mobility. Sometimes, muscular imbalances occur because of poor posture, such as leaning forward too much or favoring one leg over the other. The better your stability and mobility, the more evenly you will distribute your weight when you run. This means faster running and less (or even better, no) injuries throughout your training. This one is fairly straight-forward: the stronger you are, the longer it will take for your muscles to fatigue. During a long distance race such as a marathon or half marathon, this is incredibly important. Your aerobic system can be top-notch, but your race could still fall apart because your quads feel trashed by mile 18 or your running form falls apart due to a weak upper body and core. Stronger muscles mean a stronger marathon! 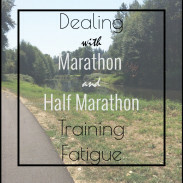 When you strength train during marathon training, you build your fatigue resistance in another manner as well. In addition to increasing your physical resistance to fatigue, you will also boost your mental resistance to fatigue. Running is mentally as well as physically tiring; by adding another workout in after your run, you are teaching your mind as well as your body to work even when tired. Needless to say, the ability to keep pushing hard on tired legs will be valuable during those final miles of the marathon. 3. Improve your running economy. According to a statistic in the September issue of Runner’s World, you can improve your running economy by up to 8% by incorporating regular strength training into your routine. Why should marathoners care about running economy? Running economy is how efficiently you use oxygen; the better your running economy, the longer you can hold a certain pace and the faster overall you can run. 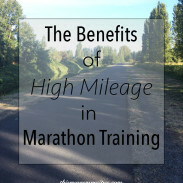 While running a high mileage is one of the best ways to improve your economy, most recreational runners have an upper limit of mileage that, once they cross it, leads to injury. Instead of adding extra miles and toeing the line of overuse injury, strength training can help improve running economy by improving neuromuscular coordination. Neuromuscular coordination is the connection between the brain’s impulses and the muscles’ movements; the stronger this connection, the more smoothly our muscles perform what our minds tell them to do. In short, neuromuscular coordination makes running easier and more efficient because there is clearer and quicker communication between the brain and muscles, especially the muscles used in running. Strength training also increases the amount of power which your muscles can produce. Strengthen your glutes and legs and you will be able to generate more power and thus use less effort with each stride. The less effort you use, the faster and farther you can run—exactly what you want if you are shooting after a marathon PR or wish to finish the marathon strong. 4. Add variety to your routine. There are times in training for a long distance race where it can feel like all you do is run. Speed work, goal pace runs, long runs, and dozens of easy paced miles per week certainly add up. By adding in some strength workouts, you are adding some variety into your routine and breaking up the monotony of running. This variety will bring excitement to your routine and a new stimulus to your training that will help you become fitter while avoiding mental burnout. Variety is good for body as well as the brain. Too much of the same repetitive exercise can lead to muscular imbalances or overuse injury, while a cross-training can prevent injury and keep your entire body strong and balanced. Strength training can be a great way to try some new workouts, go to a fun fitness class with friends, or have some change of scenery, even if that scenery is just switching from the trail to the gym. It gives your mind a break from the constant pounding of the pavement. Some runners may choose to swap out an easy run for a strength training session, while other runners may prefer to tack strength training on immediately after a run or as a second workout of the day. What you choose is based on your fitness, injury risk, personal preference, goals, and schedule. 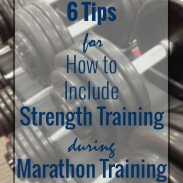 Do you want to include strength training in your marathon or half marathon training plan? As a running coach, I prescribe strength, core, and injury prevention workouts to all of my runners. Learn more about my one-on-one coaching services and training group! The completion of this week officially marks the halfway point in training for the Portland Marathon. This week I had several strong runs, although I could have been more diligent about strength training. Usually I include two sessions of weight lifting plus yoga, Pilates, and core work, but it was just so ridiculously hot here in Seattle that I skipped my usual Thursday night strength training. Monday: 9 miles on the treadmill, 1% incline. 2.5 mile warm up, 6 x 800m (all in 3:28) with 400m recovery, 2 mile cool down. Tuesday: AM: 6 miles easy with Charlie, 9:35/mile average pace. PM: Kettlebell and stability ball strength training. Thursday: 7 miles easy, 9:18/mile average pace. Friday: AM: 8 miles easy, 9:18/mile average pace. PM: 20 minutes of Pilates and foam rolling. Saturday: AM: 15 miles, 8:37/mile. I did this run progressively and began easy (8:50-9:00) and finished near marathon pace (8:05 for the last mile). PM: 8 miles hiking, 2800 foot elevation gain. 56 miles for the week, plus the hiking! If you enjoyed this post, please sign up for my email newsletter! You’ll receive an exclusive training tips guide to download, weekly newsletters, exclusive discounts on coaching services, and have the first chance to sign up email courses! How often do you strength train during marathon training (or in general)? Great job this week! 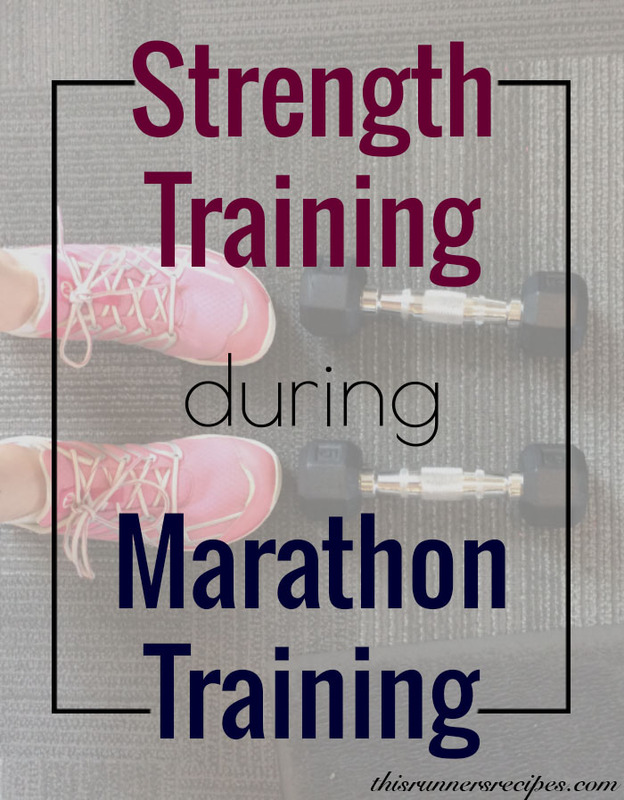 As you know I love strength training:) As I start marathon training the plan is to have one day of strength training, plus two other shorter sessions a week focused on core and hip strength after easy runs. Thank you! I think I need to take a tip from your book and add in extra core and hip strength work, that sounds very smart! Hahah yes every reason is pretty much not to get hurt or to run faster! Hope you have another great week of training! I can’t even imagine NOT strength training during marathon training! It’s so important, for all the reasons you mentioned. Yes! 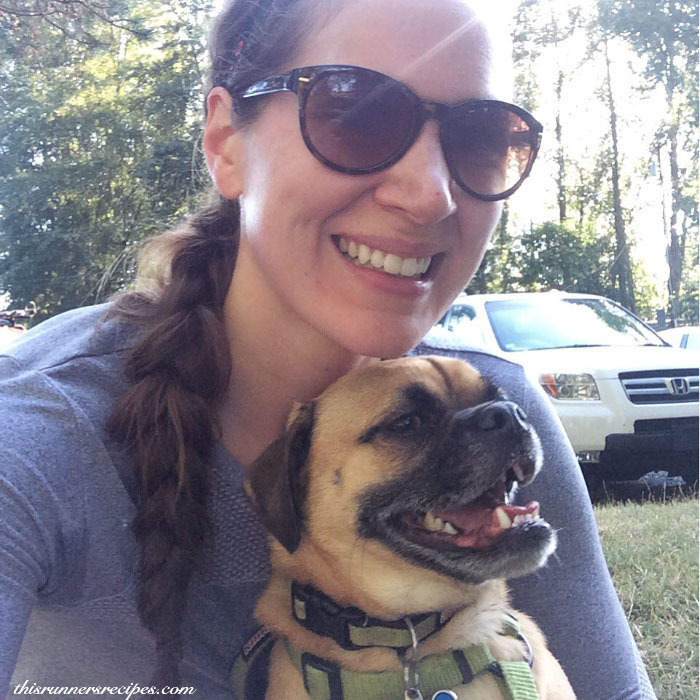 I feel like strength training has helped me handle high (for me) mileage! This is a great post and I agree 100%! I don’t train for marathons (just half and below), but I do BodyPump each week as well as a few strength exercises on my own. It’s so important and also helps preserve bone density as women age, which is important for me since people in my family have osteoporosis. 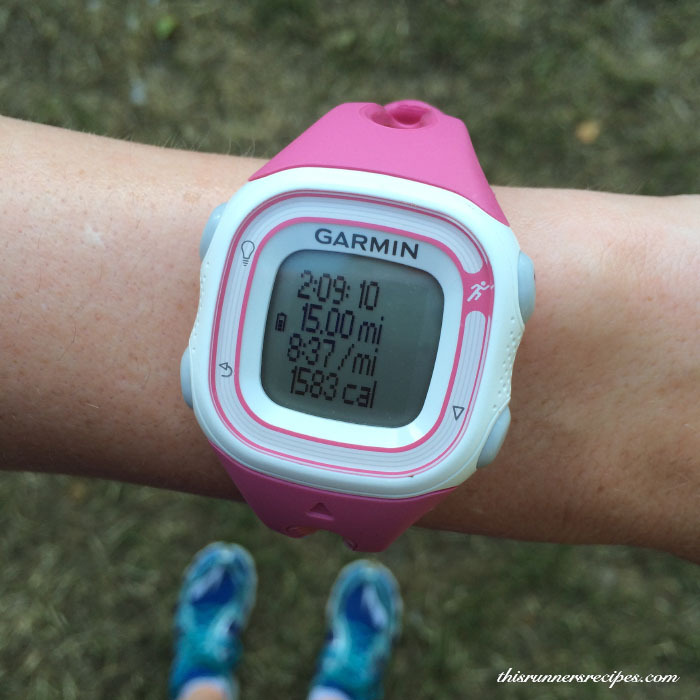 It sounds like you had a GREAT week of marathon training as well, congrats on the long runs! Thank you! I agree 100% on the osteoporosis thing is so important for women, thank you for bringing it up! It’s something we don’t always think about when we’re young, but it really can make such a difference for the years to come. Great week of training for you! I was happy with my overall miles, however I felt like a lot of my workouts were lacking purpose. Although I am just settling into my training routine, I am excited to start incorporating focused workouts. I sometimes(??) strength train during marathon training (usually upper body) but I do want to start at least doing some form of lunges/squats/stabilizing exercises since I know it will only help my running (and injury prevention!) in the long run (haha – pun TOTALLY intended : ) ) Hope you have a great week! Thank you! Squats, lunges, and bridges have helped my training so much – and they’re not hard to incorporate! I hope you have a great week and many happy miles! Great week of training! Looks like you’re getting in some great training runs and building your mileage. My week of running went well. Took an extra day off with all the weekend birthday festivities. Strength training has become part of my weekly routine for the reasons you mentioned. I shoot for 2x per week and it has definitely helped! Thank you! I’m glad that you are finding that strength training is helping! Thank you!! 🙂 Portland Marathon is October 4, which is only two months away now! The heat better leave the PNW by then! I always feel like I could eat more vegetables. Sometimes I have to hide them in my food like I’m a five year old. That is a long hike after your 15 miler, wow! Awesome training week. And I love this tips. I completely agree, and it’s something I wish I’d known when I first started running- it would have saved me a few injuries along the way! Thank you! Nailing my nutrition definitely helped me do that long hike, especially after several hard hikes after long runs. I agree, strength training is definitely something new runners should know! Yes! It really is so important for women, and yet so many women don’t do it because of fear of getting “bulky”! Spread the strength training love! Great, great post! I’m a huge proponent of strength training. As I age, I can’t do the high mileage, and strength training has made me stronger and faster! Trust me, I’ve learned the hard way that strength training and running need to be done together no matter what. It’s a game changer!